(2017). Theoretical and Experimental Investigation into the Adhesion between Fiber-Reinforced Bitumen and Aggregates by Using Pull-out Method. Journal of Textiles and Polymers, 5(1), 17-24.
. "Theoretical and Experimental Investigation into the Adhesion between Fiber-Reinforced Bitumen and Aggregates by Using Pull-out Method". 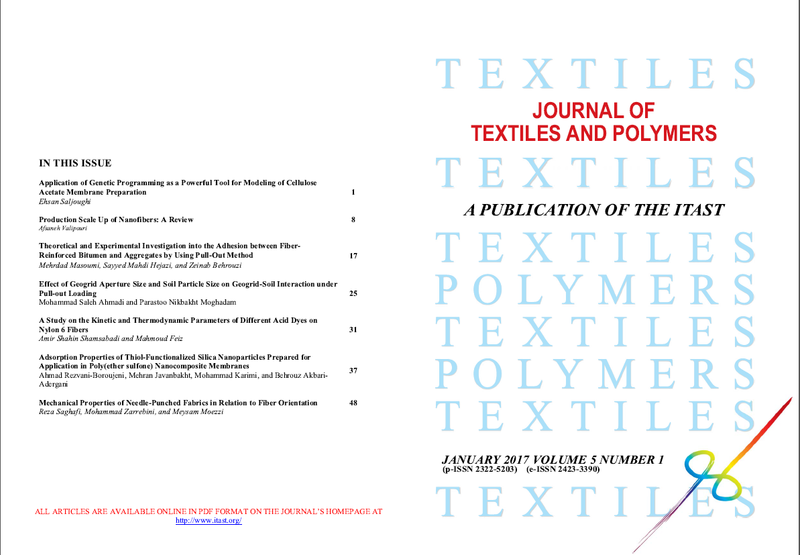 Journal of Textiles and Polymers, 5, 1, 2017, 17-24. (2017). 'Theoretical and Experimental Investigation into the Adhesion between Fiber-Reinforced Bitumen and Aggregates by Using Pull-out Method', Journal of Textiles and Polymers, 5(1), pp. 17-24. Theoretical and Experimental Investigation into the Adhesion between Fiber-Reinforced Bitumen and Aggregates by Using Pull-out Method. Journal of Textiles and Polymers, 2017; 5(1): 17-24.